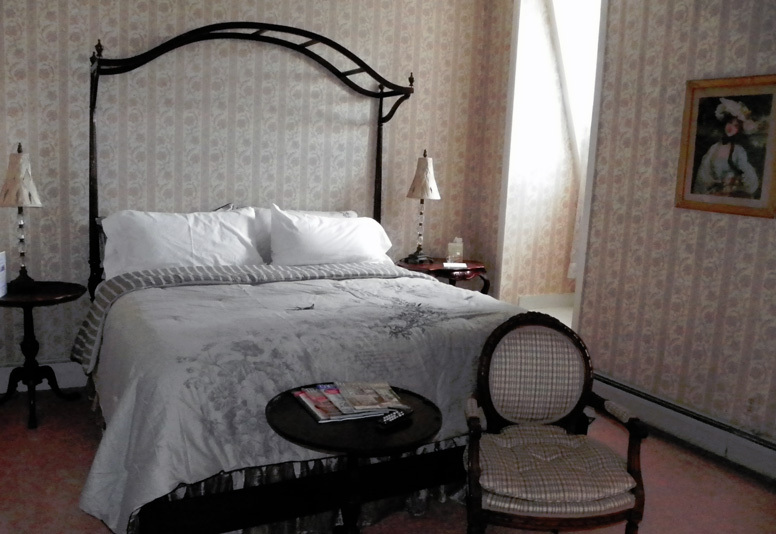 Our most affordable King room, this 3rd floor bedroom has a mahogany half-tester euro top king size bed. Two antique tables serve as a nightstands on either side of the bed, one being a piecrust table top & one a turtle top. Just inside the door to the left is an armoire to hang clothes. At the end of the bed is an antique table and two french style chairs in which to watch the wall hung flat screen TV over an electric fireplace. To the left of the TV is a shower bathroom.